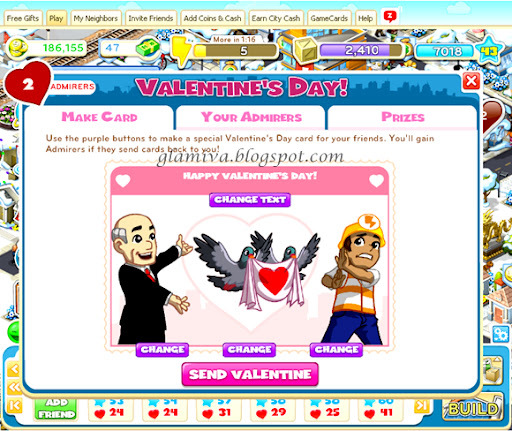 This is my Cityville's very first Valentine's Day card that I'd sent to my friends ever since it started off! I've decided to do a gay thing among the townspeople. The old man with the..good-looking construction person. xD I used birds because I think in the old days, people use birds instead of flowers or chocolates.